The second best striker of Burkina Faso first division championship with 12 realizations this season, Aguidi Foovi can land in Belgium. The Togolese striker is courted by several Belgian clubs. The player of Santos FC is on the small paper of Gantoise. The Epervier knows well the Belgian club, for he spent the tries during the last mercato. Unfortunately a disease deprived him to sign his lease. Announced several times in Ligue 1 clubs of France, in particular in Toulouse, the former better striker of Togo first division championship can know his first European experience at the end of this summer Mercato. His triplet during the first day of Fasofoot second leg in 2013-2014 against Racing Club in Boho was one of the interesting moments of the player: “I am very happy to score 3 goals this evening, but the honor returns to the whole team which fought in this match and which deserves the victory. I believe that it strengthens more the confidence of the group for the continuation “, he was delighted in front of our colleagues of fasofoot.org. 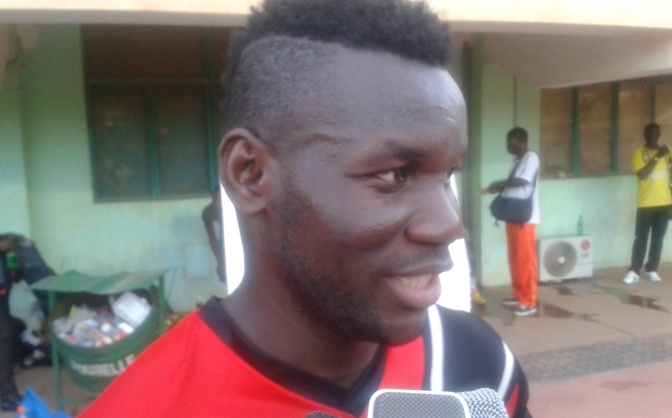 Aguidi Foovi possesses a big potential which will help him succeeding in all clubs. It is a complete player. Voucher of two feet, good at head kick, he goes very fast, swings in feet. All coaches are unanimous to his talent and do not hesitate to predict him a big career just like that of Shéyi Adebayor. Next post Ethiopia: Candidate of CAN 2017 organization!